will arrive locally late this year. The new Giulietta is the undisputed highlight of the brand's Geneva Motor Show booth and that of the Alfa Romeo Centenary. With the new car the famous Italian marque continues in its custom of presenting all its new products and features in a world preview on the occasion of the Geneva Motor Show. Indeed, after the Alfa 159 and the Alfa Brera in 2005, the Alfa 159 Sportwagon, the Alfa Spider in 2006 and the Alfa 8C Spider in 2008, now is the time to present the new Alfa Romeo Giulietta. The Alfa Romeo Giulietta is a five-door hatchback, with an evident Alfa Romeo appearance, capable of expressing both great agility over the most demanding routes and providing comfort on everyday roads. 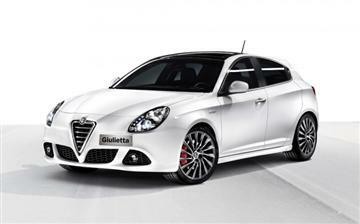 This is thanks to the new "Compact" architecture which, thanks to the refined technical solutions employed for the suspension, the dual pinion active steering, the fine materials used and the manufacturing technologies implemented, allows the Giulietta to achieve excellent levels both in terms of on-board comfort as well as its dynamic and safety features (active and passive). From May this year, the model will be on sale progressively on all the major markets, while visitors to the Geneva Motor Show will be able to admire five different models: two Quadrifoglio Verde versions fitted with the 235 HP 1750 TBi, two distinctive versions with 170 HP 2.0 JTDM and a version fitted with the 170 HP 1.4 MultiAir Turbo petrol. 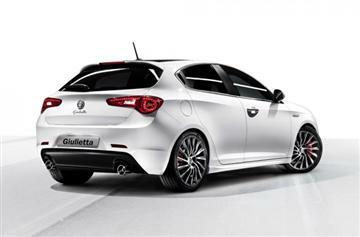 The name of the new car is an obvious tribute to the mythical Giulietta which, in the Fifties, caught the imagination of generations of car enthusiasts, making the dream of owning an Alfa Romeo and enjoying the high level of comfort and technical excellence accessible for the first time. The booth will also include a charming historic model to pay homage to the time-honoured history of Alfa Romeo: the 24 HP, the brand's very first vehicle, produced between 1910 and 1920 which was popular thanks to its mechanical features, performance levels and driving comfort. The spotlight will also be on the Alfa Romeo MiTo which will be showing off two highly interesting novelties in Geneva: the DDCT (Dual Dry Clutch Transmission) and "Blue&Me–TomTom". The first new feature is an automatic dual dry clutch transmission which guarantees driving comfort and a sporty feeling well above those offered by conventional automatic transmissions, but improved efficiency and lower consumption levels. On the Alfa Mito, the new device is combined with the Start&Stop system in order to minimise consumption levels and CO2 emissions. In addition, the technological qualities of the Alfa Romeo MiTo are further enhanced by the second novelty to be presented at the Geneva Motor Show: namely, “Blue&Me–TomTom”, the latest version of the Blue&Me system. It is a fully integrated infotainment system whose practical colour touch-screen allows you to manage phone calls, satellite navigation and all the driving information you need. The device is the result of a partnership between Fiat Group Automobiles and TomTom, the European leader in portable navigation systems, and integrates with the other car’s systems thanks to the Blue&Me system developed with Magneti Marelli. The MiTo is shown in two versions at the Motor Show: a Distinctive 135 HP 1.4 MultiAir Turbo petrol (fitted with the DDCT automatic transmission and the “Blue&Me–TomTom” portable satellite navigation system) and an exclusive MiTo Quadrifoglio Verde fitted with the powerful 170 HP 1.4 MultiAir Turbo petrol, an historical symbol of the brand, which now represents a new kind of sportiness that combines maximum driving pleasure with improved environmental qualities. Such as the outstanding weight/power ratio (6.7 kg/HP), guaranteeing record-breaking agility, plus an exceptional specific power of 124 HP/litre, a real first for this category. In addition, as far as the typical reduction in emissions and fuel consumption of downsizing is concerned, the 170 HP 1.4 MultiAir Turbo petrol records 139 g/km of CO2 and 4.8 l/100 km in the extra-urban cycle: figures you might expect from an economy car rather than a compact sports car that goes from 0 to 100 km/h in just over seven seconds. In addition, the Swiss event would not have been complete without an area dedicated to the Alfa Romeo 8C Spider, the super car designed at the Alfa Romeo Centro Stile and produced in a Limited Edition (of just 500 models). 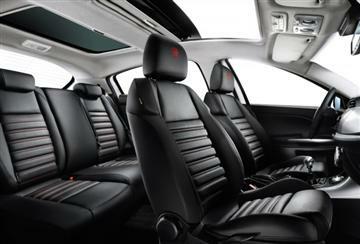 Its fully carbon fibre exterior embodies perfectly Alfa Romeo's motoring and mechanical excellence. Fitted with the mighty 4.7 litre 8 cylinder engine that develops 450 HP, teamed - thanks to transaxle architecture - with a 6-speed sequential manual gearbox, the Alfa Romeo 8C Spider immediately turns heads due to its unmistakable Italian elegance, an absolutely unique and unrepeatable style that promises the satisfaction of a sporty drive with full respect for Alfa Romeo tradition. Emphasis must be place on the important and excellent Brembo carbon ceramic brakes (CCM) braking system fitted as standard. This solution ensures powerful and effective braking even when used more intensely as well as further reducing the non-suspended mass, improving the dynamic vehicle control and driving comfort of this prestigious super car. In short, Alfa Romeo returns to the Geneva Motor Show with a multitude of auto innovations, in a spectacular booth conceived as an ideal blend of design and technology, sportiness and sophisticated styling.